Sakizuki, the second episode this season of Hannibal, did an excellent job of blending a serial killer of the week story with the overall mythology of the show. Hannibal did track down the killer the FBI was hunting, but finished the killer’s job before the FBI got there. Only Hannibal could look so fashionable in a plastic suit, or convince the killer to become a part of his own work. Will Graham is doing an expert job of playing a cat and mouse game with Hannibal. He purposely looked beaten when saying, “I am the unreliable narrator of my own story” and asking for Hannibal’s help, but looks far stronger when alone, contemplating his next step. The biggest tension of the show involved Hannibal and his psychiatrist, Dr. Bedelia Du Maurier played by Gillian Anderson. There were moments when it was not clear if she would come out alive, with this tension increased by the knowledge that Anderson is involved in two other shows this season. 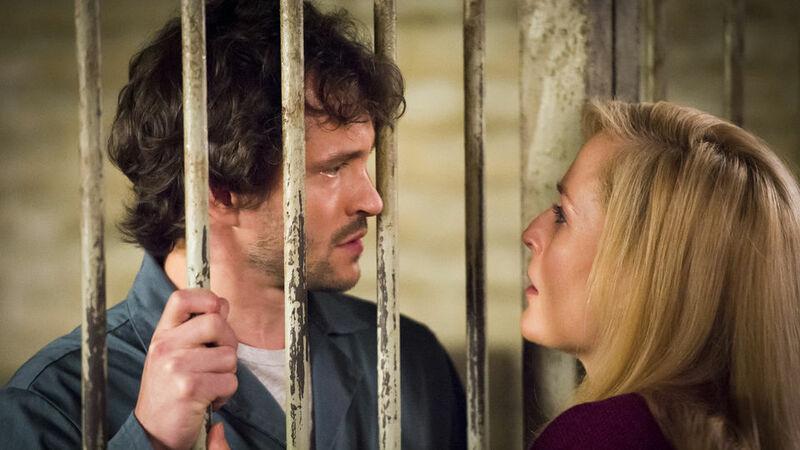 Instead the episode made it plausible for Dr. Du Maurier to disappear for a while (or have a reduced) role without winding up visiting Hannibal for dinner. I suspect she will return towards the end of the season and be involved in Hannibal’s downfall, as foreshadowed by the start of last week’s episode, especially with her telling Will she believes him at the end of this week’s episode. BF: Another couple of shows! AVC: What did you want to do with bringing her back, and how much of her backstory with Hannibal do you, as writers, know? BF: There was a much bigger, broader, longer story to be had with Bedelia that I’m hoping we get to play out in some form in the future, but because of Gillian’s schedule, we were only able to get her for a couple of episodes at the beginning of the season, and we’re desperately trying to figure out how to get her to navigate her schedule and get her back to wrap up her story. Though we want the audience to think when they see the trailer for episode two that she’s going to get killed at the end. The idea would be to get her back. There’s so much cool stuff with her backstory and her relationship with Hannibal and how closely it parallels Will’s relationship with Hannibal, which would be explored in an episode toward the end of the season if we can figure out schedules. AVC: She also tells Will that she believes his story. How important was it to you to give Will an unquestioning ally at this point? BF: I think he needed it, because there was so much despair, and everybody was just assuming he was guilty of all of these crimes. I think he needed someone to say simply, “I believe you.” When I was writing that scene I teared up, because something so simple as someone saying, “I understand you, and I believe you,” when you’re in a dark, lonely place is such a beacon of hope. I love Gillian Anderson as a human being and as an actress. And I love Hugh Dancy as a human being and as an actor, so I was excited to get them in a scene together, especially one that was so still and eerie and wrought. I’ve always been inspired by this line from Damaged that Juliette Binoche says, which is, “Damaged people are dangerous, because they know they can survive,” and I paraphrased that in the last scene with Dr. Du Maurier and Will Graham, where there is a camaraderie in the damaged. You may feel you are alone in your damage, because it is such an interior experience to be damaged in that way, and then to have somebody come along who you know can know you in that way, it’s a beautiful thing. It’s a glimmer of hope. So I was really excited about that moment, writing it, and even more excited when I saw the actors perform it, because I do think that there is a bond between Will and Bedelia that I hope we get to explore. 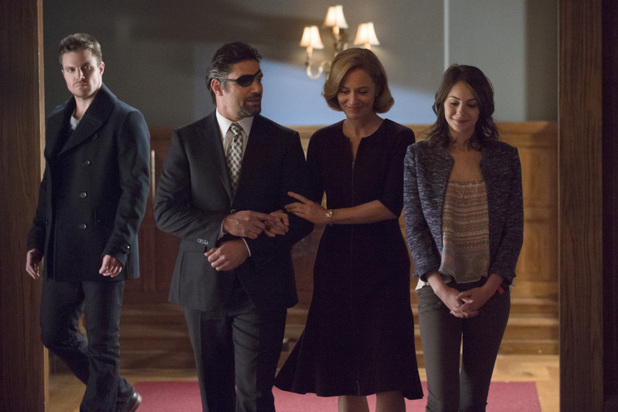 Arrow picked up in The Promise where it left off last week with Slade in the Queen Mansion, but Team Arrow came to the rescue. The bulk of the episode, reversing the usual pattern, took place back on the island. Once again the show has greatly surpassed most other attempts at bringing superheroes to the screen. The manner in which the back story is fleshed out on the island makes comic book scenarios in the present seem plausible, taking far less suspension of disbelief than is generally necessary to accept the conventions of superhero series. The scenes on the island also showed the first time Oliver ever put on his hood and Slade ever put on the Deathstroke mask in their attack on Ivo’s freighter. I wonder if we will see more of Dr. Ivo. Dreamcatcher was a fun episode of Revolution, with the nanobots putting Aaron in the Matrix. Aaron was back in a world with electricity, seeing people he knows but who initially do not know him. Some took active roles in the story while Giancarlo Esposito was seen as a sleazy insurance salesman on billboards and television commercials. Although fun, the episode could have been much better if not for so many plot holes and being so predictable. The premise was that the nanobots were trying to trick Aaron into solving a formula which would allow them to survive. As viewers we know they must survive as the destruction of the nanobots would mean they would not be around to eat all the electricity, ending the show (which might not be a bad thing). Just as we must suspend disbelief in the premise of nanobots which eat electricity which powers devices while ignoring the electricity in our nervous systems, we must grant the premise that the nanobots can mess around in Aaron’s brain but could not just force him to solve the equation or extract the information they needed. Aaron’s mind fought back, first in the form of Charlie. Seeing her shot in the head was one of the highlights of the episode. After being chased by Horn, who represented Aaron’s greatest fears, he managed to wind up with Rachel, Miles, and Monroe. Aaron gave the nanobots the information they needed to manipulate him by telling Rachel he would never harm her. At first Rachel, Miles, and Monroe did not recognize Aaron, creating some drama, but then suddenly they knew everything. It was too easy. They came up with the idea that if Aaron fell in this “dream” he would wake up, unconcerned about horror stories in which death in one’s dreams results in death in the real world. From here it was so predictable. Aaron appeared to wake up. Rachel was placed in danger, and Aaron gave in and solved the equation. Then (coming as no surprise) it was revealed that he was still in the Matrix. I would have expected Aaron to have seen enough science fiction to see that one coming. T.A.H.I.T.I. was revealed on this week’s Agents of S.H.I.E.L.D. 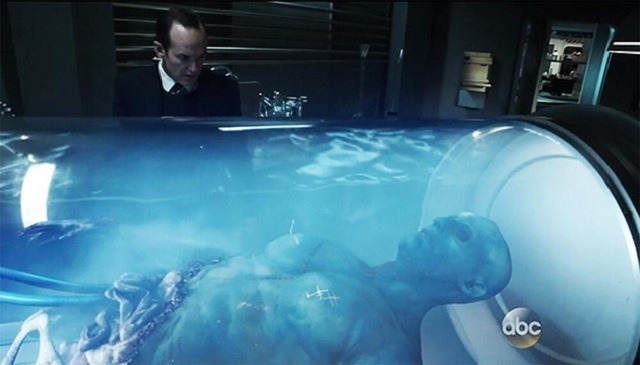 to be not the Island where Agent Coulson was rehabilitated after being brought back from the death but a room with possibly alien science which was used to save him. The show is certainly more fun to watch than in the early episodes, but remains a disappointment. Ignoring the superhero and science fiction elements, the show just remains impossible to believe. Among other problems, there are no consequences as would be expected in an agency of this nature. 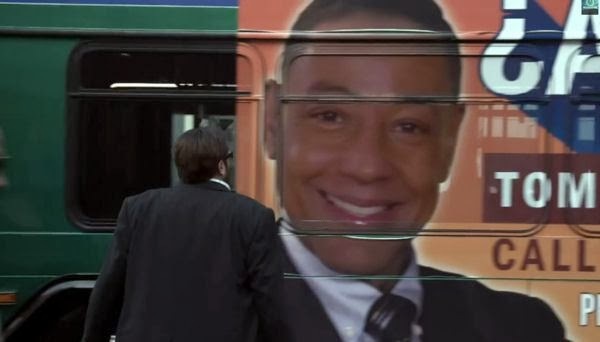 In a previous episode, Simmons knocked out a superior with no repercussions. It appears that this was totally consistent with the world in which Agents of S.H.I.E.L.D. operates. The show opened with faux drama in having Bill Paxton as Agent Garrett coming to board Coulson’s plane for disobeying orders in keeping custody of Ian Quinn. False drama and no consequences once again as Paxton and Coulson worked things out. The handling of Quinn made me wonder if S.H.I.E.L.D. is really supposed to be the good guys or a parody of our worst fears of the Bush administration. It is understandable that Coulson would place a high priority on saving Skye’s life, but absurd to expect that he would attack a base, and kill those working there, when the base had to either be part of S.H.I.E.L.D. or another facility they were working with. Then more false drama when Coulson suddenly decided they should not inject Skye with the drug, followed by the drug magically healing her wounds. Fortunately The Americans presented a spy story which seems much more grounded in reality as it continued to deal with the repercussions of another undercover family being killed last week. Philip went to check if they guy in the drop knew anything but things didn’t go well between Philip and Fred at first. Philip’s efforts to gain Fred’s trust was far more compelling to watch than the relationship between Phil Coulson and Agent Garrett on SHIELD. I loved seeing Elizabeth’s fear as the construction truck pulled up outside of their home, along with her side trip to help out another agent. What will Paige walk in on next? Once again, there are so many story lines being expertly intertwined. I was a little puzzled by Nina telling Stan about the walk-in at the Soviet Embassy. Certainly her handlers would realize that the embassy was being watched and the FBI would figure out who it was. Did the Russians have no real interest in Bruce Dameran? Did they just make a mistake allowing Nina to mention this, was it a mistake on Nina’s part, or on some level did Nina still want to help Stan? One problem that Almost Human faced is that episodes were aired out of order. 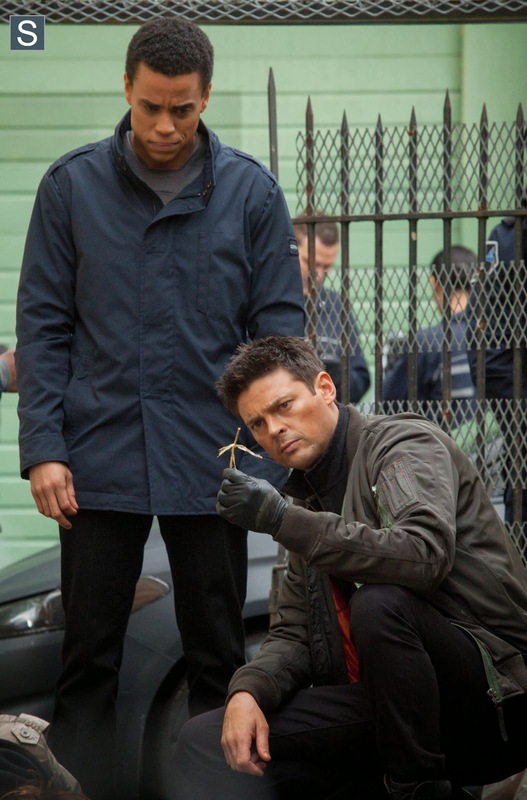 While there was no major continuing story line which required viewing the episodes in order, the most enjoyable aspect of the series was the relationship between John and Dorian. Seeing them out of order led to a couple of recent episodes which lacked this dynamic which had been filmed earlier. Fortunately the final two episodes of the season were done later when this relationship was better established. It is unfortunate that, despite hints of developing an ongoing storyline, little came of this and the final two episodes were again essentially stand alone cases of the week. The season finale did concentrate on the dynamic between John and Dorian, with Dorian’s performance review. I had feared that they might run a cheap cliff hanger of having Dorian fail and be scheduled to be removed as John’s partner, only to have this reversed next season. Fortunately they did not succumb to a feeling they had to do a cliff hanger as far too many shows do. With or without a cliff hanger, this show was entertaining enough to return to next season. I just hope they do more to expand on some plot lines they hinted at this season, such as what really happened in the ambush at the start of the season and what is beyond the wall. How I Met Your Mother is winding down and this week’s episode, Vesuvius, did a lot to promote a fan theory which has been going around that the Mother had died before Ted began his stories, possibly with Ted actually winding up with Aunt Robin. The first episode of the series had viewers expecting it was a typical love story about Ted meeting Robin and eventually marrying her until the ending, That’s how I met your Aunt Robin. There have been scenes suggesting that the Mother might not remain alive, but all have alternative explanations and are far from definitive. The most compelling was in The Time Travelers in which Ted was outside his future wife’s apartment and said, “Exactly 45 days from now, you and I are going to meet. I want those extra 45 days with you. I want each one of them.” If the two were really to meet in 45 days and live a long life together, there would be little reason for Ted to be so concerned about getting those 45 extra days together. There are pictures of Neil Patrick Harris on the set of the final episode in regular clothes. Barney has said that the one time he doesn’t wear a suit is to funerals. Could he have been filming a scene of the Mother’s funeral? All of these items, along with suspicious answers by the cast about the finale, could be explained in other ways. Vesuvius keeps theories that the Mother will die alive. Throughout the episode there is a sense of sadness in the way Ted looks at his wife in scenes of the two from 2024. The most suspicious scene of all was when there was mention of the present when Robin’s mother made it to the wedding. The big question, with tears filling both of their eyes was, “What kind of mother would miss her daughter’s wedding?” Were these tears of happiness for Robin as they thought back on her wedding day, or tears of sadness as the two realized that Ted’s wife was dying and would never see her daughter’s wedding? Was she dying in 2024, or worse was Future Ted revising the Inn with the ghost of his wife? It wouldn’t be at all surprising if Barney and Robin either wind up not getting married or if their marriage doesn’t last. In the final twist of the series, it could turn out that Ted and Aunt Robin are married. Then it would not matter as much that Robin could not have her own children as she might wind up eventually becoming the mother to Ted’s children. The series could easily be seen as an explanation to the children why Robin was the one he was meant to be with if their mother could no longer be with them. This plan would have made a lot of sense when the series was first developed and fans rooted for Ted and Robin to get together. Now fans are strongly hoping it is not the case. Too much has changed. As absurd as the pairing of Barney and Robin was at first, fans now want them to succeed together. More importantly, fans have fallen in love with Cristin Milioti’s still unnamed character this season and having her die would be far too sad a way to end the series. Another possible explanation for the scene in Vesuvius is that Carter Bays and Craig Thomas want to make us believe the Mother does have a serious illness in 2024, but in the end she survives. Perhaps they even changed their original plans after seeing how this season has played out. Moving on to another series involving time travel, Rachel Nichols and the cast of Continuum discuss season 3 in the video above. An updating of Cosmos was already a big event. We know so much more than when Carl Sagan first aired the show. As an example of how important this show is in an age of such tremendous misunderstanding and denial of science, the show is going to be introduced by Barack Obama. As usual, previews of Mad Men tell us very little.